Fine Cocoa - Cocoanect supplies you the best fine cocoa. Defining the different flavor aspects begins with understanding the product from the source. We source fine cocoa beans from and to people who are passionate about cocoa. Who understand that the taste of chocolate is a translation of the transition process from bean to bar. We closely work together with all kinds of fine chocolatiers all over the world. Together we explore the world of cocoa and try to introduce new flavors to the market. We constantly challenge ourselves, tasting different cocoa beans from different places all over the world. 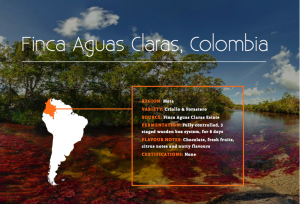 We work with selected partners across a number of fine flavor regions. 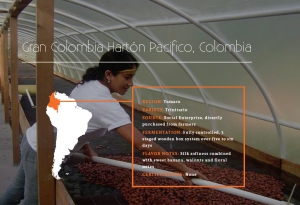 Would you like to receive information about our current stock or request some sample cocoa beans? Please contact our Fine Flavour Specialist. 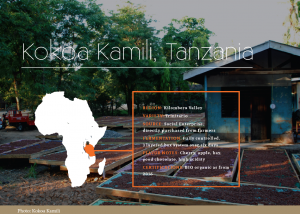 From the Kilombero Valley in Tanzania we source fine cocoa beans from our partner Kokoa Kamili, a BIO organic certified social enterprise The beans have a fantastic sourness enriched by fruity notes, specifically apples and cherries. Read the full sourcing report. 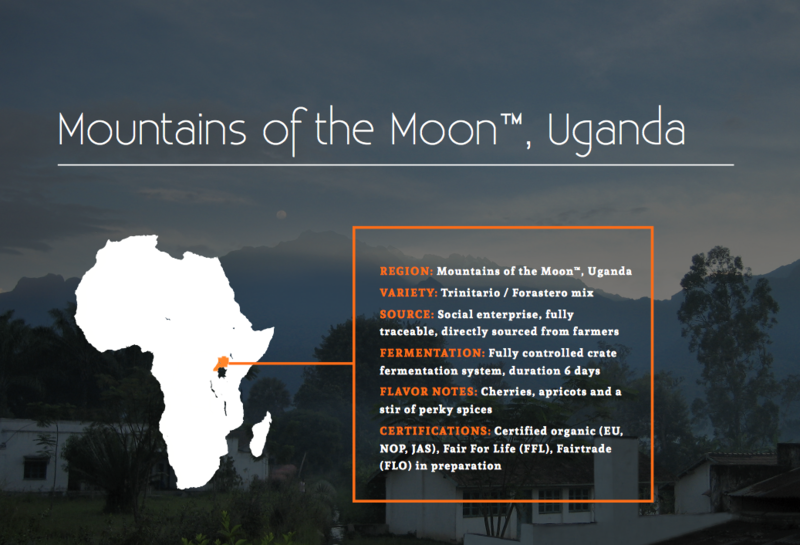 From right at the border of DR Congo and Uganda, in the mountains which are part of Virunga national park, we receive some beautiful beans from our partner Mountains of the Moon. With a rich bouquet of interesting flavors, including abricot and cherries, we are very happy to supply you with these unique cocoa beans. 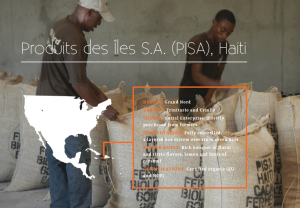 The cocoa farmers in Haiti have faced many hardships, but thanks to the hard work of Produits des Iles SA (PISA) living conditions are vastly improving, as the farmers PISA works with now receive a much higher price for their cocoa beans. The floral and fruity cocoa beans from Haiti smell delicious as soon as you roast them and are simply screaming to be turned into an award-winning chocolate. 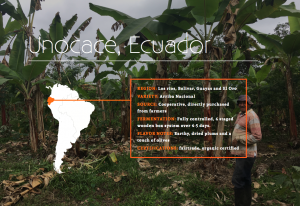 From the Pacific coast of Colombia’s far southwest, in one of the poorest and politically troubled areas of Colombia, some exceptional fine flavour cacao is grown. Working closely with farmer families and with exceptional care for the fermentation processes, resulting in a very smooth chocolate taste. 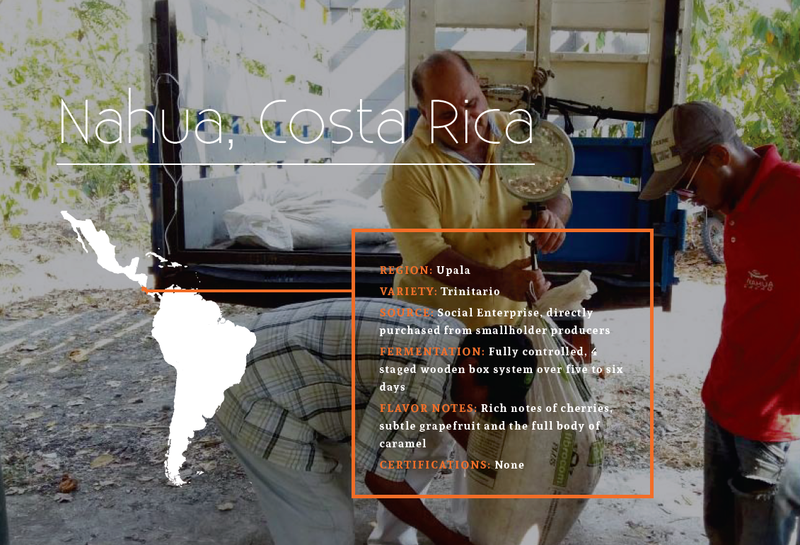 We are very pleased to add this specialty quality cocoa to our preferred selection of beans. In the small hamlet of San José de Upala, Nahua has built an impressive, modern facility to manage the highest quality fermentation and drying of cocoa beans sourced directly from smallholder producers. With a warm and full cherry taste, this is intriguing high-quality cocoa. 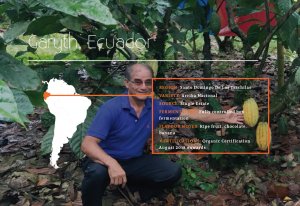 In just a short time, the Finca Aguas Claras team managed to build a burgeoning cocoa business and produce beautiful beans, despite being in an area which until recently was a major conflict zone. 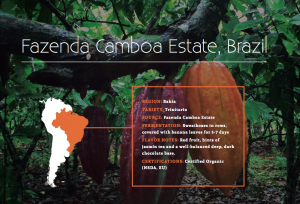 The rich biodiversity of the region and the special care during harvest and post-harvest, are reflected by the unique and fruity flavor profiles of the Fazenda Camboa cocoa beans. 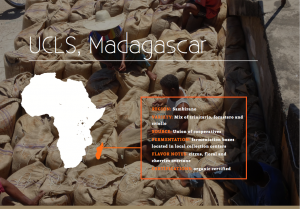 The Union de Coopératives Lazan’ny Sambirano (UCLS) in Madagascar, a union of cooperatives which includes 400 farmers, is a great example of farmer empowerment. We are very happy to support the further strengthening of this union, and are proud we can now supply chocolate makers with these amazing Malagassy cocoa beans. Unocace’s recipe for success is both brilliant and simple: high-quality fine flavour Arriba Nacional cocoa, a unified post-harvest protocol and an excellent quality control system. Read the full souring report. 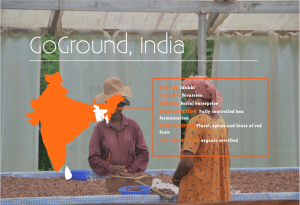 At the core of GoGround’s philosophy is building committed relationships with their cocoa farmers, and creating a positive socio-economic impact in the beautiful Idukki region. Although setting up a fine flavour enterprise is clearly a tough bean to crack in this remote location, Ronnie and Brian have shown they can face the countless challenges. 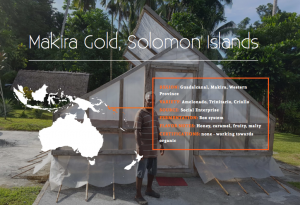 Their continuous efforts directly contribute to an impactful and sustainable change for the island communities. In a few short years, the Cedeño Aguilar family and their team have established a thriving cocoa business. This success can be largely attributed to Thomas’ passion for farming, which shines through when walking around the well-cared-for plantation. Download all the sourcing reports.